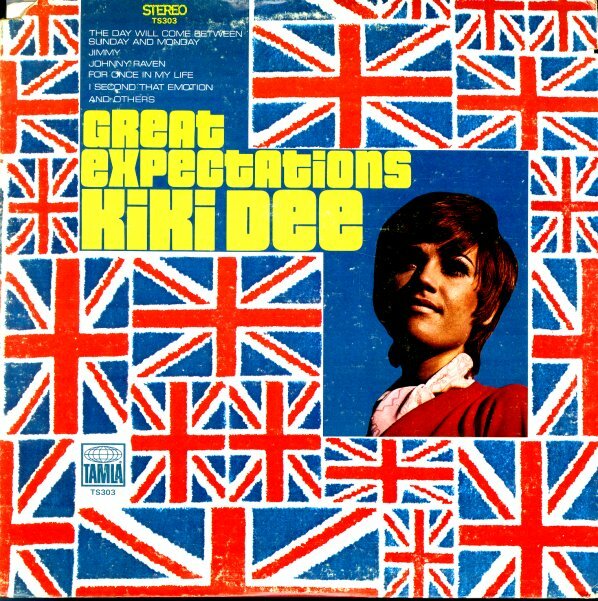 One of the greatest blue-eyed soul albums ever on Motown – featuring early work by British singer Kiki Dee, better known for her later hit with Elton John! Kiki here sounds much more like a Motown soul act than on later work – singing with a wonderfully smooth style that fits the motor city mode perfectly, yet which also has some nice baroque soul touches, in the mode of other female UK singers of the time. She's accompanied by arrangements from Tom Baird, Paul Riser, and David Van DePitte – all very much in the best swinging style of late 60s Motown. A surprising gem, with a wonderful array of tunes that includes "I Can't Give Back The Love I Feel For You", "More Today Than Yesterday", "The Day Will Come Between Sunday & Monday", "Johnny Raven", and "You Don't Have To Say You Love Me". © 1996-2019, Dusty Groove, Inc.